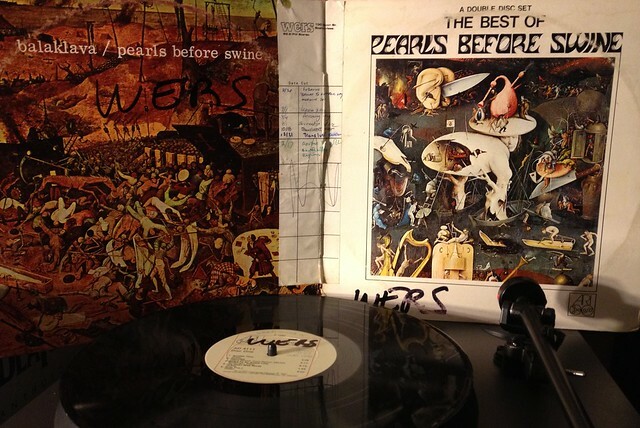 Translucent Carriages was recorded for Pearls Before Swine's second album Balaklava in 1968. Damon & Naomi's cover version was first released on the Magic Eye Singles Pearls Before Swine tribute album "For The Dead in Space" in 1997 and subseuqntly turned up on the following years Playback Simgers. You can read a bit more about my encounters with Pearls Before Swine's Tom Rapp here. Tom has also previously turned up in the Originals series covering Bob Dylan's I Shall Be Released with Damon & Naomi at 1997's first Terrastock festival. Bonus: Here's a track I didn't include in the Originals series because it didn't really fit.